This Black Tea Frappuccino infusion contains a blend of chocolate and tea leaves coming from Kenya. When you order this drink, the first layer from the bottom is a refreshing and aromatic Earl Grey Tea jelly, the next layer is the Black Tea Frappuccino with Chocolate Java Chips. To finish the complete look, whipped cream is added with a sprinkle of chocolate Black Tea powder. Of course, you can blend these ingredients before you take your first sip! I have to be biased. I'm a green tea lover and this one is my favorite of the two limited beverage. 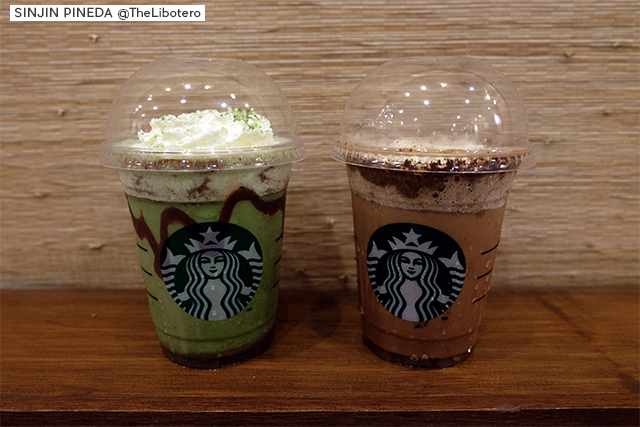 A smooth chocolate sauce is layered at the bottom and at the the top of the Green Tea Frappuccino which is also infused with Java Chips. Just like any blended beverage, whipped cream on top completes this new frap with some sprinkles of Green Tea powder. Starbucks also introduced six featured food items and snacks that are best paired to their coffee blends and other refreshments. 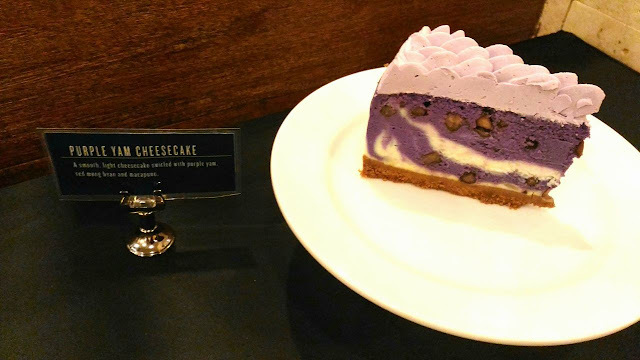 It's definitely cheesecake with purple yam. Other ingredients include red mung beans and macapuno. It's a soft dessert you can try and if you're a cheesecake fan. 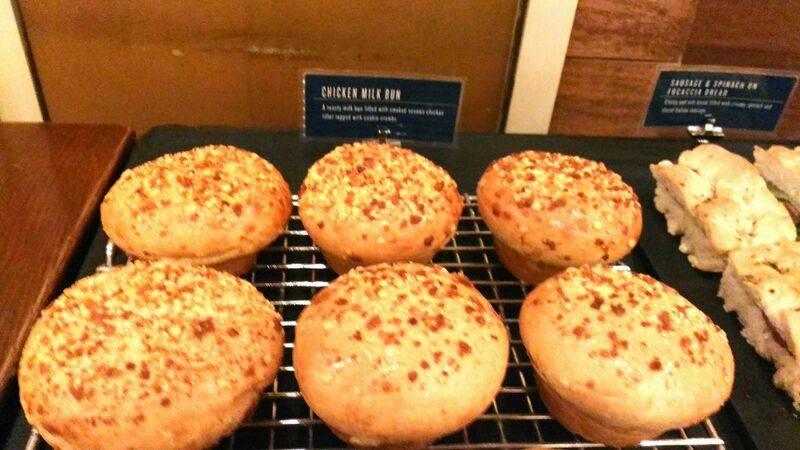 A soft and toasty milk bun filled with mouthwatering smoked sesame chicken fillet topped with sweet cookie crumbs. Best served warm. I certainly loved it! The tortilla wrap is just smooth and soft. 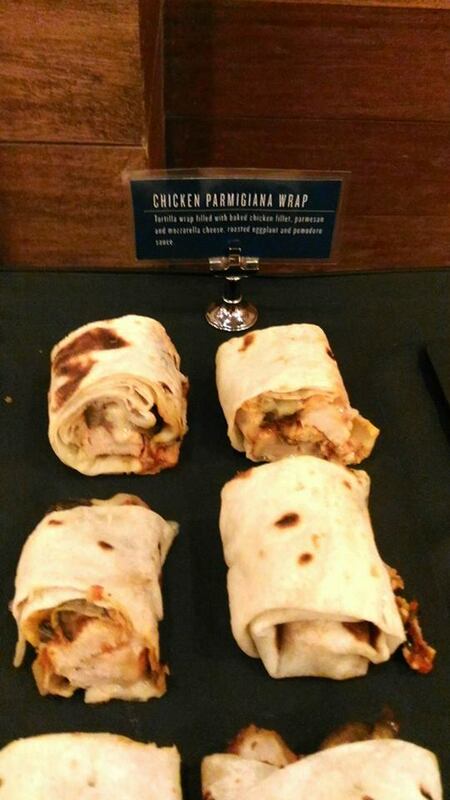 A mix of baked chicken fillet, eggplant, cheeses like parmesan and mozzarella with pomodoro sauce satiated my palate for some wrap! 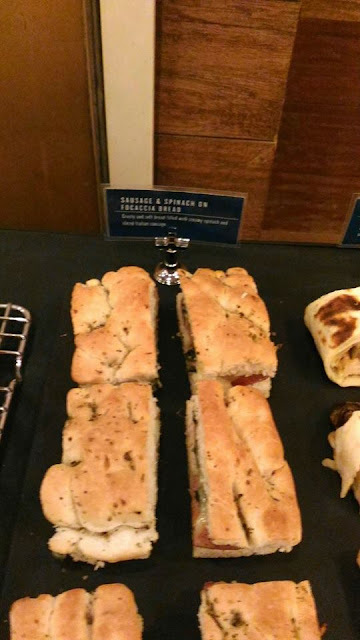 Another favorite of mine from their array of delectable food items. Expect a generous slice of Italian sausage and creamy spinach to ooze from the crusty and soft bread. I don't usually take in breakfast. But this one could be a good meal to kick-start your day. 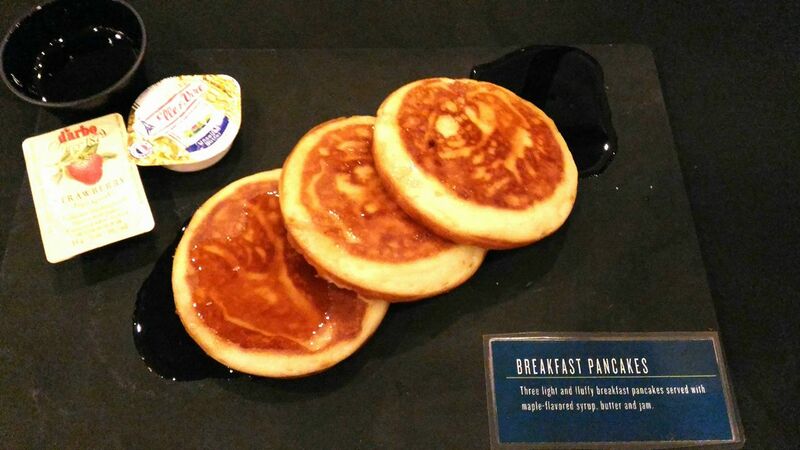 The pancakes were fluffy! 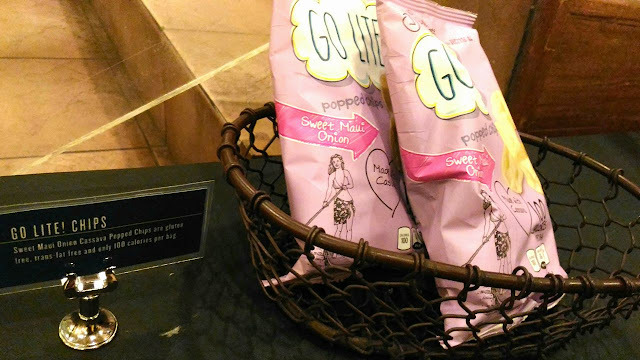 A diet-conscious me definitely is in need of a light snack to munch. This one is gluten-free! It is made of Sweet Maui Onion Cassava Popped Chips. It is best paired with our sandwiches. It's only 100 calories. 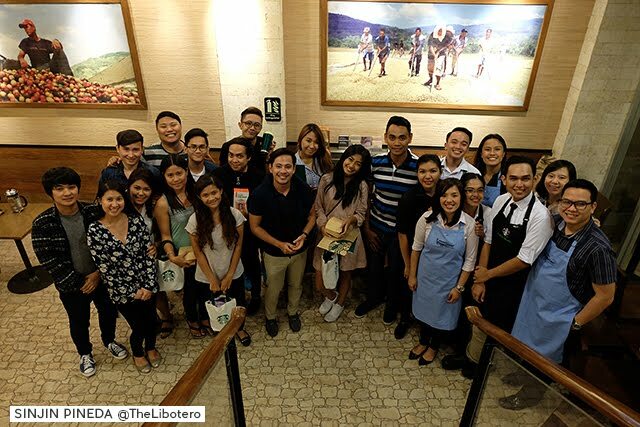 Starbucks Philippines through their Ayala Center Cebu branch has been a solid partner with Cebu Bloggers Society, Inc. Let me share with you our group photo during this bloggers' event that transpired. 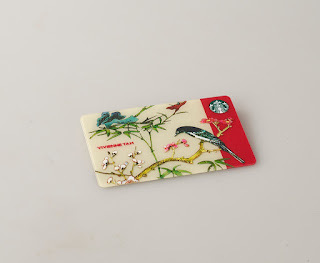 Are you those peeps who are collecting Starbucks cards? Here's a good news for you! Take note of the date! In collaboration with Vivienne Tam, this limited edition Starbucks Card is inspired by her iconic “Bird and Flora” print. The design showcases Tam’s East-meets-West approach to design, that effortlessly blends cultural roots with modern design vocabulary. Available for an initial consumable load amount of ₱1,000. Inspired by our Siren’s tail, this special blue fish scales design will make a colorful splash this season. Available for an initial consumable load amount of ₱300. 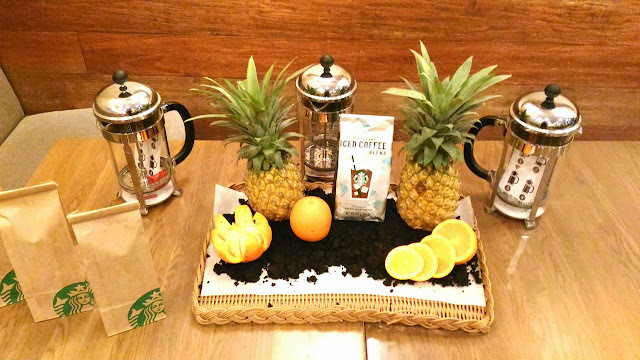 I'm proud to say that I won the grand prize from Starbucks that night against 15 Cebu bloggers (hahaha). 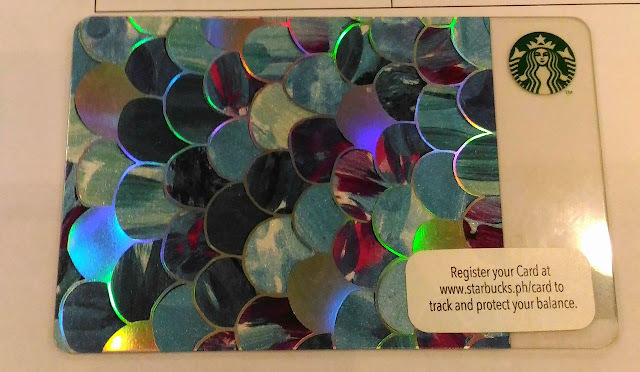 Below is my Starbucks Frozen Drink Maker that I'm so excited to use.